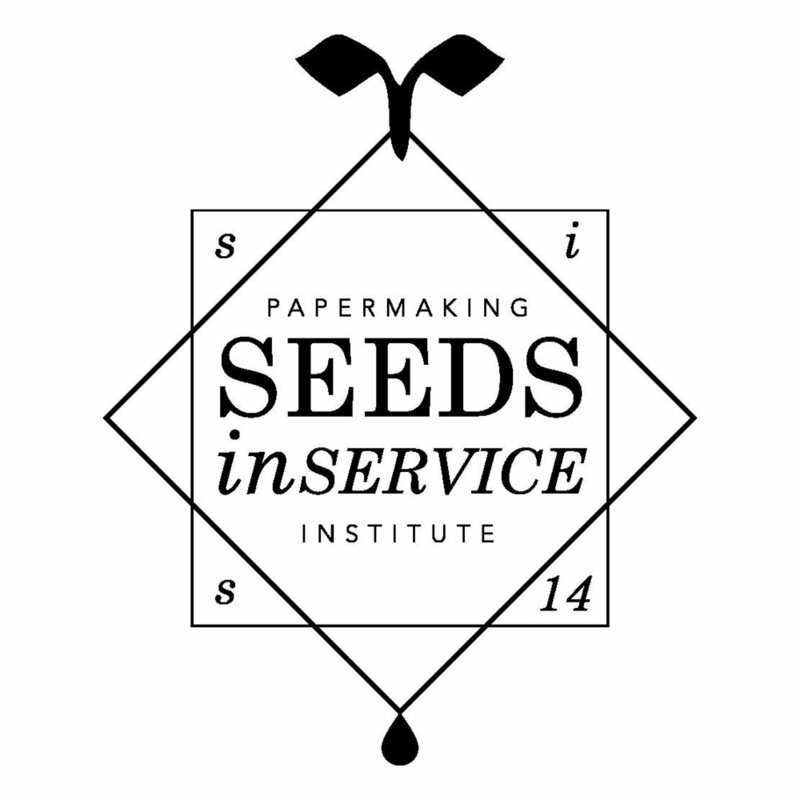 Seeds InService: A Papermaking Institute (SIS) is an ecofeminist, socially-engaged art practice by Maggie Puckett and Melissa Potter that supports self-determining communities through heirloom seed management, thematic gardening, and hand papermaking arts activism. Through the radical labor of handcrafts and urban agriculture, SIS exposes the intersecting oppressions of women and nature in a globalized world controlled by patriarchal capitalism. Through collaborative and community art projects that range from propagating rare seeds in partnership with national heirloom banks, to public events featuring the untold narratives of women in agriculture, we make visible, and propose solutions to, the modes of production that exploit the labors of women and nature. By practicing “slow art” we promote an anti-industrial, anti-capitalist ethic — rejecting modernity’s dismissal of craft and blind faith in technology. The hands-on activities of growing and making are transformative, liberating the mind and body from the alienating effects of late capitalism--we offer and share these arts as widely as possible. We consider one of our greatest contributions is to philosophically oppose the market-driven art world, and encourage the intersection of art and activism. Our work actively builds discourse and raises visibility for hand papermaking practices that stem from a rich, but overlooked tradition of feminist craft history particular to Chicago, and now a national trend. These include the settlement house and Arts and Crafts movements, post-WW2 G.I. Bill (that expanded craft in higher education), Marilyn Sward (founder of the paper program at The Center for Book and Paper at Columbia College where Melissa Potter teaches, and from where Maggie Puckett graduated), and WomanCraft a micro-industry that offered creative employment to women recovering from homelessness. Seeds InService Newsletter. Seeds InService Press. January 2017. Print. Orr, Joey, and Sally Eaves Hughes. “Seeds InService: Works on Paper.” Art Papers May 2016: 6-12. Print.